Forest Health Group | Assessing forest health, disturbance dynamics, and damage by insect pests. Assessing forest health, disturbance dynamics, and damage by insect pests. 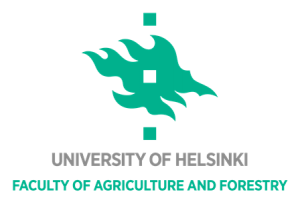 Forest Health Group members are researchers in the University of Helsinki, Finland, Department of Forest Sciences, and their collaborators worldwide with similar research interests. The group focuses on damage mapping and monitoring, risk assessment, and methods of forest health management. Our toolbox includes skills such as identification of causes of forest health problems, modelling of disturbance dynamics, forest inventory, remote sensing, GIS, and spatial modeling. The main focus of our current research is on developing methods for predicting and monitoring outbreaks of forest insects and effects of insect driven disturbance on forest ecosystems at varying spatio-temporal scales and environments. We create projections of future disturbance such as impacts of pest insects in forest landscapes in the changing climate. Our recent studies include ecological niche modelling of major forest pests and their hosts, diversity mapping of saproxylic insects on urban trees, and impacts of gene manipulation on tree herbivory. More details can be found on https://blogs.helsinki.fi/foresthealthgroup/projects/. You can contact us foresthealthgroup(at)gmail.com, via personal email, or by leaving a comment in the comment box on this page.